Cost Includes: tuition, fees, textbooks, product & treatment supplies, use of linens that are laundered by a professional linen service. Also students never pay for treatments. ﻿﻿﻿﻿﻿﻿ONLY 2 DAYS A WEEK LIVE CLASS REQUIRED! Live: Sunday & Monday 9:00-4:30 & 4:30 - 5:30 for those who do not have perfect attendance. Tuesday Module: 7:30-2:15, unless work is submitted early. + 1 module due by Thursday 5:00pm. The Basic Esthetics course is designed to meet the requirements of licensure. Disclosure - Please note the limited scope of practice of a Basic Esthetician prior to enrollment in only the Basic Esthetics class, leading only to licensure as a basic Esthetician. 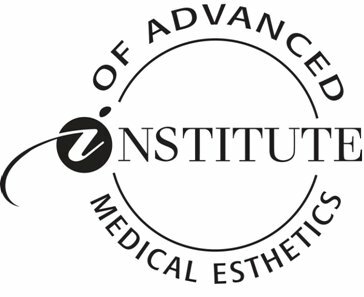 Please consider the industry demand for antiaging and corrective treatments - only included in the Master Esthetician's scope of practice. Basic Esthetics is required to be completed prior to beginning the Master Esthetics class. YOU MAY START THE MASTER CLASS THE SAME DAY, AFTER YOU GRADUATE FROM THE BASIC CLASS. Offered ONLY when open seats are available. Because we are a "clinical skincare training facility with a rigorous curriculum" , we limit our class sizes to small numbers, to allow us to give individual attention to all of our students. Use the CONTACT FORM to inquire about upcoming enrollment dates. 1. Orientation and business topics - minimum of 25 hours of instruction. g. Professional ethics and practices. 2. Laws and regulations - minimum of 10 hours of instruction. 3. General sciences - minimum of 80 hours of instruction. 4. Applied sciences - minimum of 95 hours of instruction. e. Diseases and disorders of the skin. 5. Skin care - minimum of 255 hours of instruction. j. General procedures and safety measures. 6. Makeup - minimum of 65 hours of instruction. 7. Body and other treatments - minimum of 20 hours of instruction. f. General procedures and safety measures. 8. Hair removal - minimum of 50 hours of instruction. - Placement rates if aligned with the requirements of the Accreditor or State. Student outcomes: types of employment obtained by graduates. Only students who obtained employment in the field were counted as being placed. *note that this number reflects employment confirmation from all eligible students, as the school was able to contact all eligible students. If you want to know more about exciting occupations in the field of Esthetics (according to the Department of labor) click here. If you want more information on this career in Virginia, (according to career one stop) please also click here. The Bureau of Labor & Statistics and the State of Virginia publish data on salary potential and employment prospects. Note that the Virginia data is not broken down by county and therefore may not be reliable for the area you reside in. Also note that there are 2 levels of esthetics licensure in Virginia, Basic & Master. Basic level is very limited with scope of practice (see law) and the data may not take into account the limited job opportunities and earning potential imposed by the limited scope of practice. The data should be considered to be an example but not a given. This data should not be relied upon when considering enrolling into the school as there are no guarantees on placement or income. The school does not verify their graduates salary or employment prospects and therefore the BLS and Virginia data are the only example the school has access to. The school only verifies if the students is working in the field at the time of the employment verification inquiry is made and publishes a placement rate. Salary potential and employment prospects may vary depending on location, experience, education and other factors. Disclosures – For all schools, if the number of students who completed a GE Program during the award year was less than ten (10), for privacy reasons, the school should not disclose to the public: Median debt amounts (Title IV debt, private educational loan debt, and debt from institutional financing), On-time completion rate. In accordance with the U.S. Department of education regulations, this is a snapshot look at a cohort of full time, first time (no prior college) students who completed their course within 150% of the normal time for completion. Please note that the majority of our students are not first time, so the number of students being measured in this rate is small compared to our total enrollment. * only students completing with perfect attendance may be reflected in this rate. 1. Median loan debt may include other expenses beyond institutional charges. For example, a student may have received a loan totaling $10,000 for attendance in a Program where $6,000 went to pay institutional charges and $4,000 was provided to the student to meet other educational expenses. 2. Figures represent median loan debt at graduation for students who graduated between the date of July 1 of the year and extending to June 30 of the next year. 3. Figures do not include capitalization of interest. 4. Figures represent median loan debt of Esthetics programs. Please note that the school does not provide on campus housing for any programs. 100 %* only students completing with perfect attendance may be reflected in this rate. *Disclosure: 25 hours a week is the minimum course load to be listed as a full time student for the purpose of financial aid. Some weeks will require more than 25 hours per week class time investment due to curriculum subject hours. Students need to also consider additional study time or time it may take them to complete homework assignments. We anticipate 40 hours a week for class success, preparation for class, homework, practical drills and studying for exams. Note that if you are absent that time should be made up as soon as possible, the next week or as soon as additional time is available. Students should be proactive by working ahead to avoid not graduating by the contract end date and also by making use of the maximum time frame allowance that is provided within their 24 week schedule. This allowance is provided by the school to be student friendly to avoid financial aid issues (see below). Clock hour schools are different from credit hours schools where attendance is not taken. A clock hour school has you clock in and out much as you would at a job. Every minute counts during your 24 week enrollment period. Financial aid only pays for the 24 week enrollment period from start to end date. Our 24 week schedule has allowance for more than 600 hours , about 10%, to allow for absences and unforeseen circumstances and emergencies. If you constantly don't attend class or fail tests, your aid may become in jeopardy via unsatisfactory academic progress. This should be avoided at all costs and staff will work with you to notify you if this is an approaching issue and offer you guidance on how to rectify the issues. Once you hit 600 hours, you are considered a graduate as long as all hours, and academic and practical components are met. Graduation requires that all 600 hours be completed and a clock hour school is not allowed to provide excused absences as all absences and missing hours must be accounted for and all 600 hours are required by law.